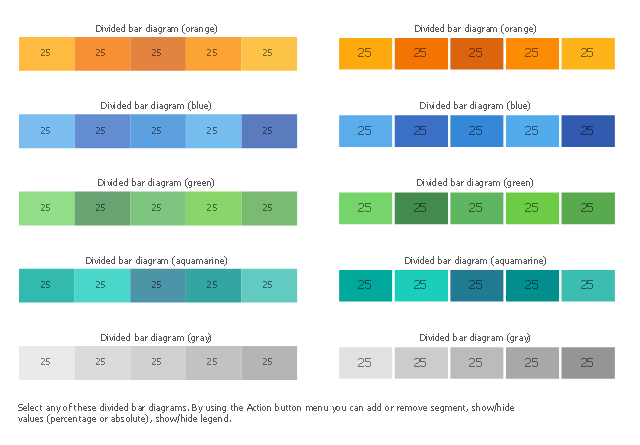 The vector stencils library "Divided bar diagrams" contains 10 chart templates. 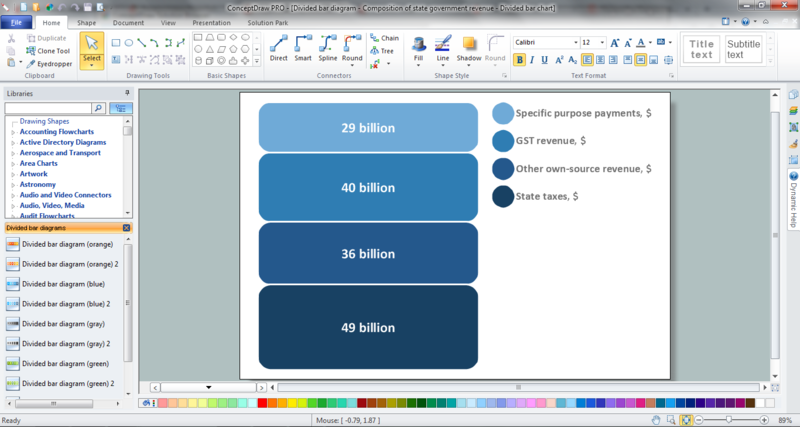 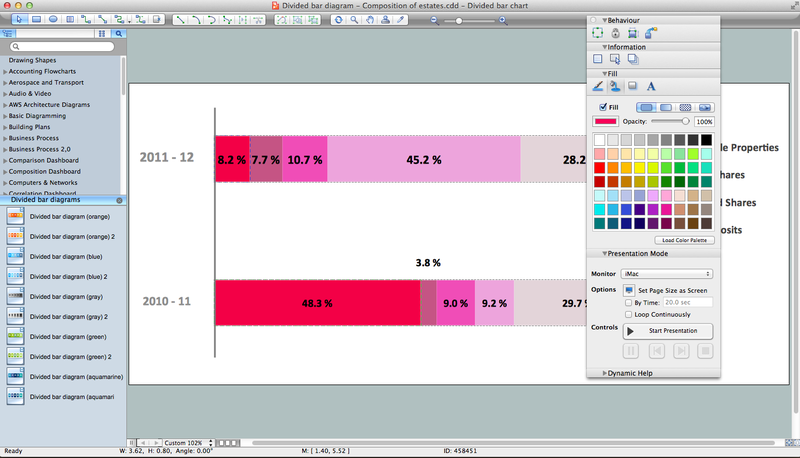 Use it to draw your divided bar charts in the ConceptDraw PRO diagramming and vector drawing software. 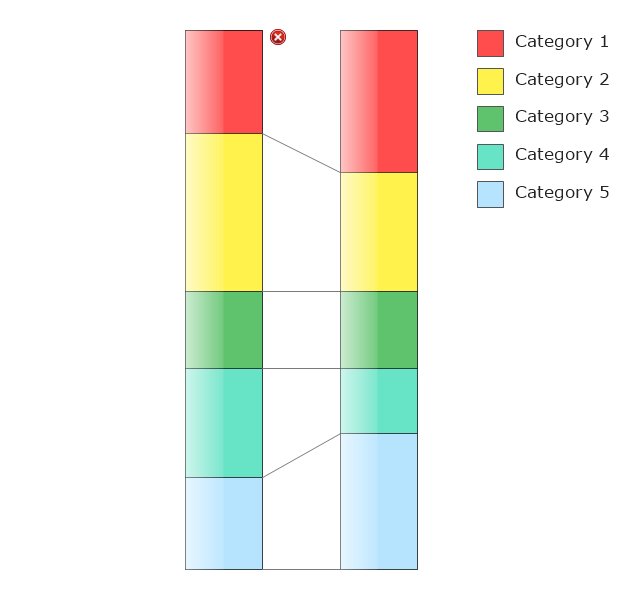 A divided bar graph is a horizontal bar divided into segments to illustrate numerical proportion. 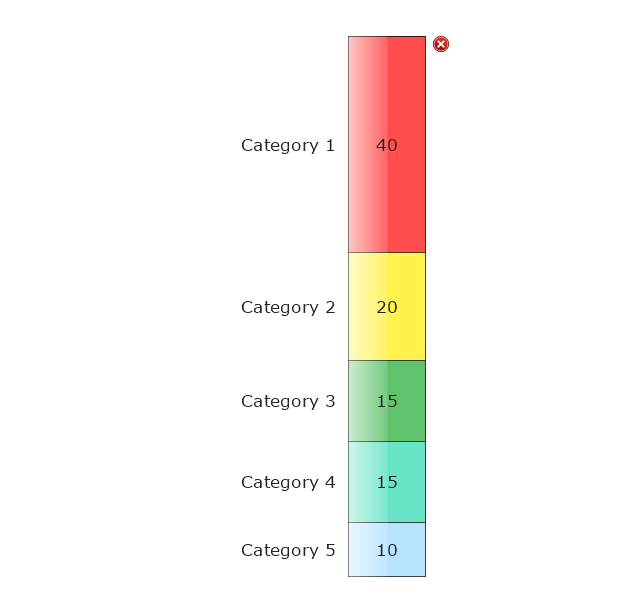 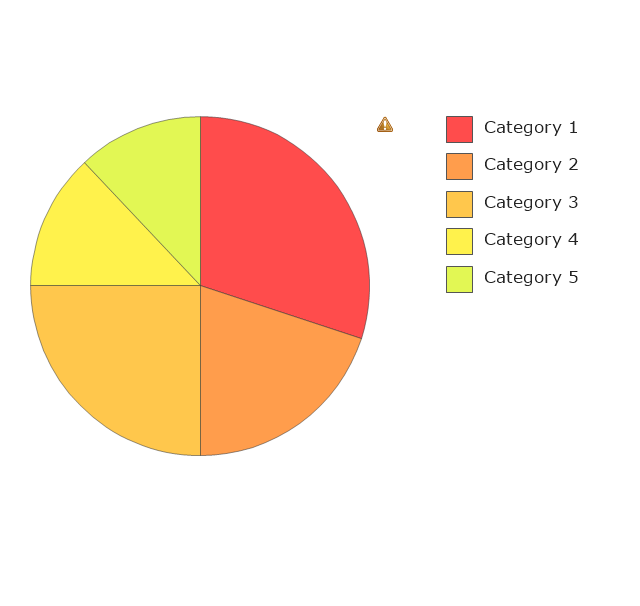 Each segment length represents the percentage of the part in the 100% total amount. 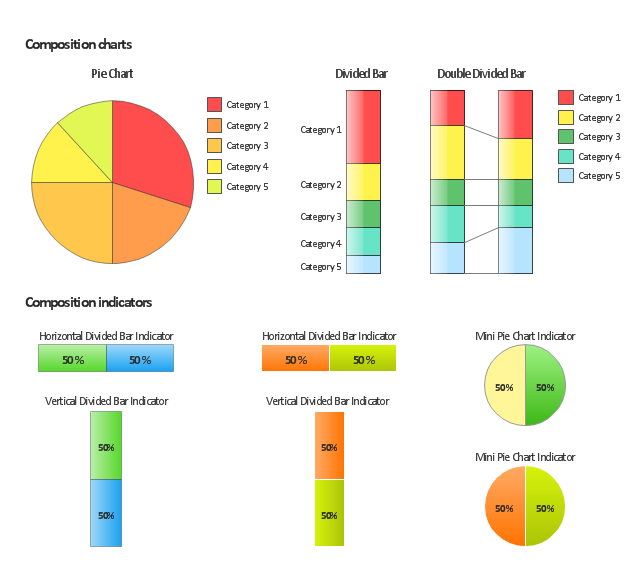 The chart templates example "Design elements - Divided bar diagrams"
The vector stencila library "Composition charts" contains design elements of composition charts. 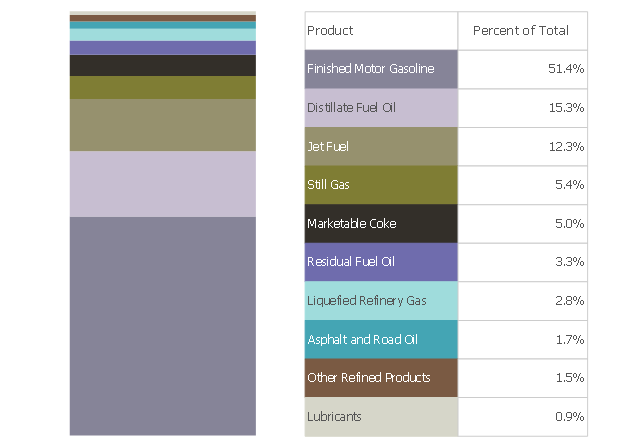 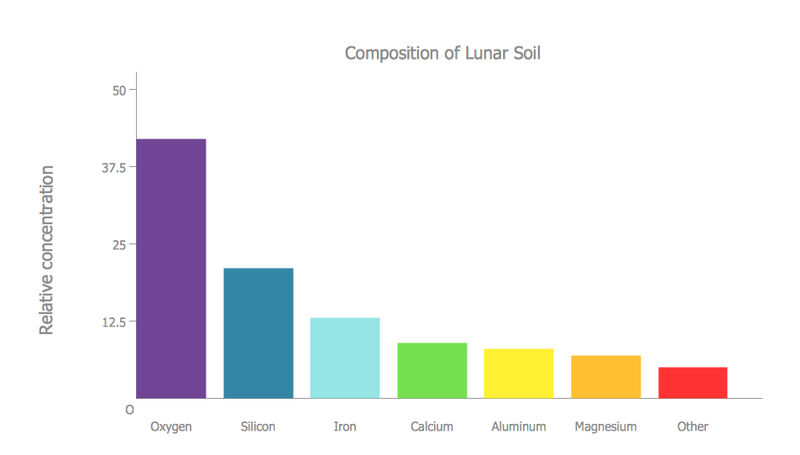 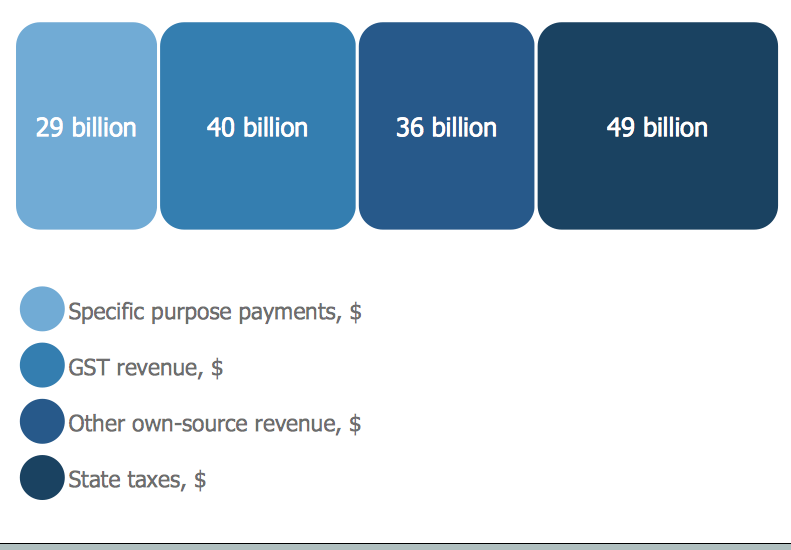 Composition Charts are Live Objects which show the parts of the total. 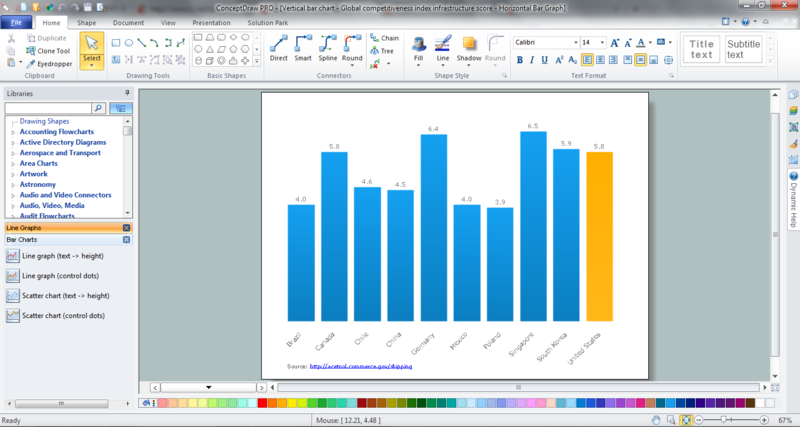 Use it for drawing visual dashboards in the ConceptDraw PRO diagramming and vector drawing software extended with the Composition Dashboard solution from the area "What is a Dashboard" of ConceptDraw Solution Park.